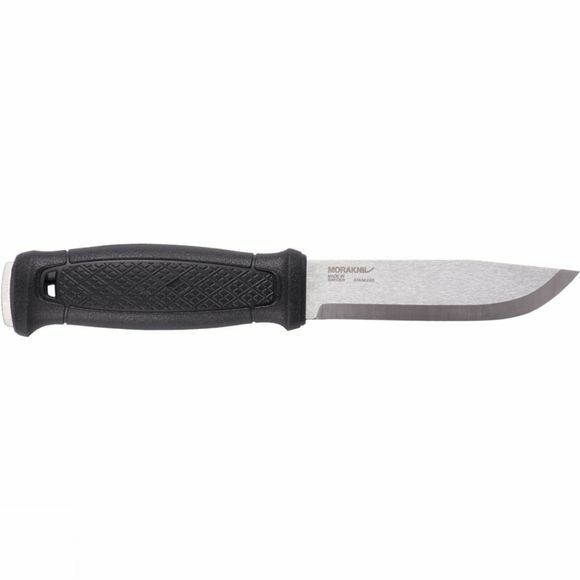 A powerful full tang design the Garberg Knife from Mora has been created to withstand the toughest challenges. It boasts a 3.2mm thick blade made with high quality stainless steel that has been specially treated to increase its strength and also features Scandi-grind making it easier to keep sharp. 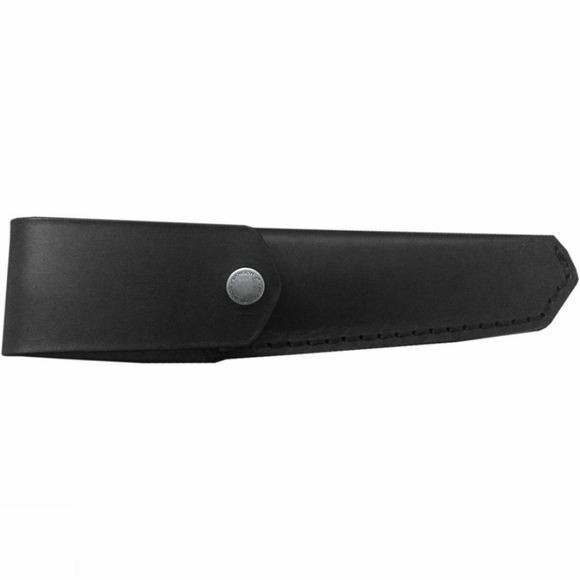 The spine of the blade has been ground so that it can be used with a fire starter so that essential warmth is never far away while the leather sheath is durable as well as practical.